Virtual reality transforms hospital stay for kids - Augmented Reality, Virtual Reality & Mixed Reality services in Chennai, India. STANFORD, Calif. (Ivanhoe Newswire) — Understandably, most kids who have to be in a hospital wish they were anywhere else. But there’s one hospital they may actually enjoy. Patients there can catch basketballs, fish, or zap hamburgers in space. All courtesy of virtual reality. Brayden Eidenshink knew the routine of a hospital. He’s been in and out of them for much of his young life. Brayden got a new heart. It wasn’t easy but there’s one bright spot to ease the pain and worry … virtual reality. “It stands for childhood, anxiety reduction through innovation and technology. 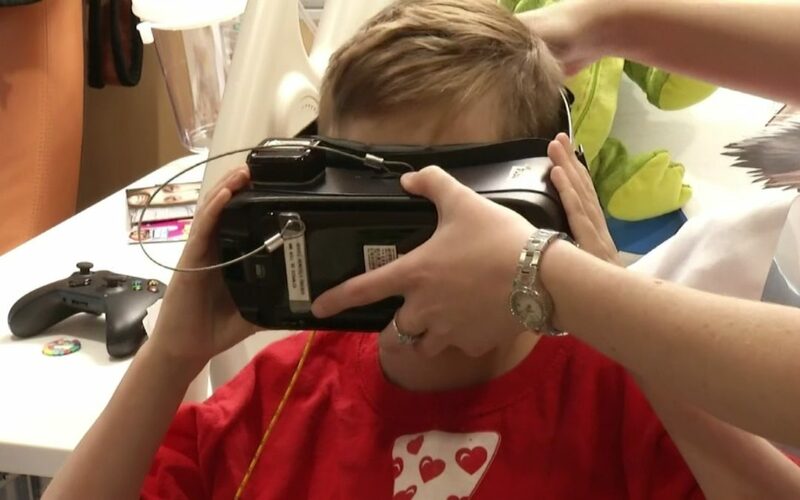 It’s a program where we utilize traditional technologies such as tablets, mobile, virtual reality headsets,” said Thomas Caruso, MD, Lucile Packard Children’s Hospital Stanford. “It’s hard to take them off because they’re so addicting,” Brayden laughed. “They have to be involved. They have to move their body. They have to move their head to play the game. So, they’re so focused on that that they kind of forget what’s actually happening,” said Molly Pearson, Child Life Specialist, Lucile Packard Children’s Hospital Stanford. Keenan Espiritu who’s been a patient at the hospital for more than two years also appreciates the escape. “It helps me forget like I’m in the hospital. It feels like I’m somewhere else,” Keenan shared with Ivanhoe. “It can completely transform their experience here,” added Dr Caruso. The technology developed by the Chariot Program is being used throughout Lucile Packard Children’s Hospital at Stanford as well as at other hospitals nationwide. We are sorry to report that young Brayden died from heart transplant complications after this story was finished.